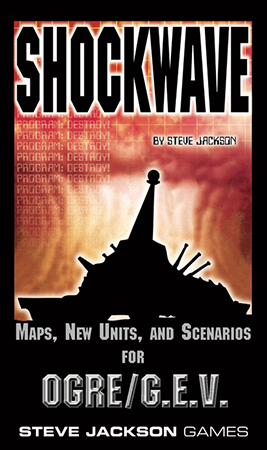 The rules in Shockwave are applicable to Ogre/G.E.V. as it existed at the time of its release and are not entirely compatible with the current version, Ogre Sixth Edition. However, this is an interesting look into the past that provides smaller maps and additional classic counters for those with Ogre/G.E.V. So complete your Ogre collection with this piece of history, available now on Warehouse 23!